Today is a sponsored post brought to you by Vembu who asked me to review their recently released BDR Suite 4.0. Let’s start at the beginning with a bit of background. The company was actually founded back in 2002 based out of Chennai India but also with offices in the US. The company state that the product has reached 60,000 businesses world wide through 4000 partners. 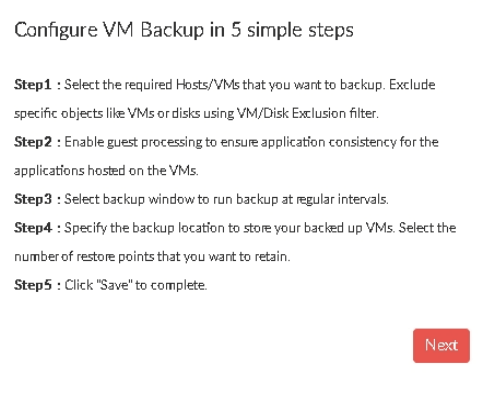 Vembu VMBackup – Allows the backup of vSphere and Hyper-V VM’s without the need for the installation of any agents. In VMware environments the BDR console can also call on the VMware replication feature to copy VM’s between hosts. First of all we download the latest version. The installation is wizard driven and generally you can click through it, you can review the settings to change the ports and passwords. Config is stored in a PostgreSQL database you will need to make sure you have at least 100GB of storage available and choose where to store this. The architecture we are going to follow is a simple all in one box installation, all management and backup operations occurs from here. If you have a larger environment you can deploy a backup proxy to act as the data mover and deploy the image backup proxy for the backup of physical machines separately. Once the installation is complete you can login and manage the system using the web console the default address will be https://VembueServer:6061. 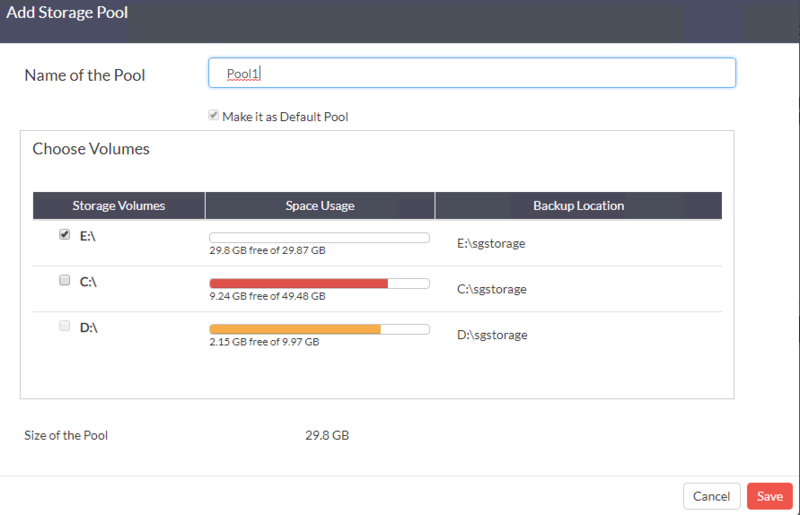 The first job will to be creating a storage pool, storage pools are the target for backup jobs and are made up of a group of volumes which are aggregated together. SAN, NAS and DAS can all be used as storage targets. 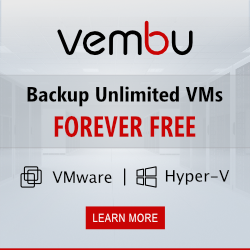 Vembu do not require any specific storage systems since they have developed their own file system VembuHIVE, the file system has inbuilt version control, encryption, deduplication and error correction. The VembuHIVE system also allows you to use any combination of storage types such as SAN and NAS. Vembu offer a number of options to harness the cloud for backups and to protect workloads held in the cloud. 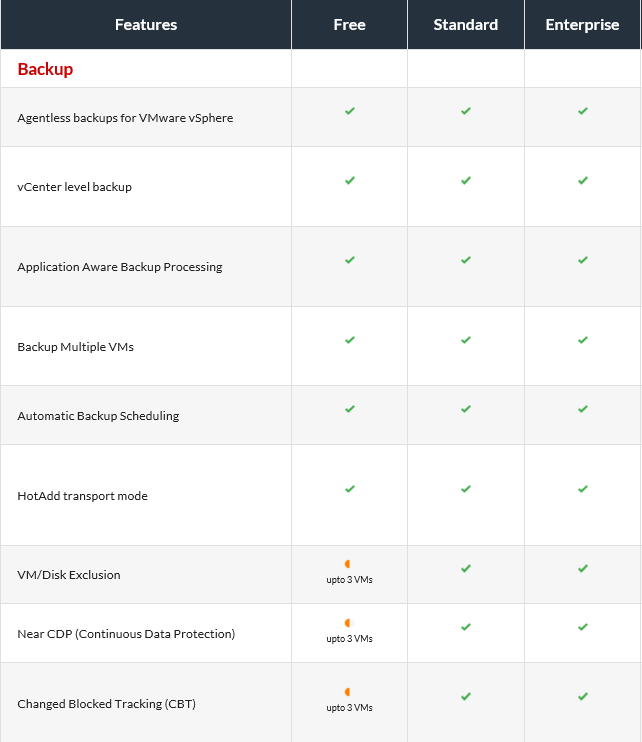 The OnlineBackup backup option allows you to backup directly to the cloud whereas the CloudDR option allows you to replicate your backups to the cloud thus allowing offsiting. SAAS workloads that can be protected including G suite and Office 365 which are then backed up to the Vembu cloud. 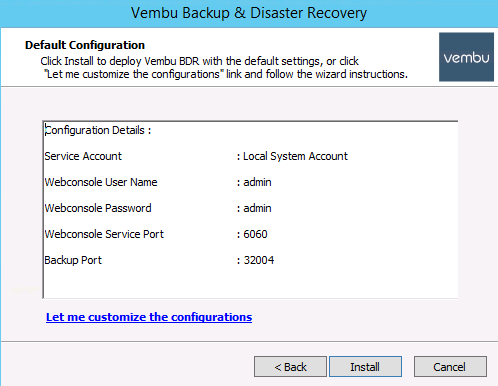 Data protection provider Vembu are due to release the 4.0 version of their Vembu Backup and Disaster Recovery (BDR) suite 4.0 imminently. This release is heavily focused on enhancing the existing features and adding new functionality related to Hyper-V backup. Vembu BDR 4.0 – What else is new? 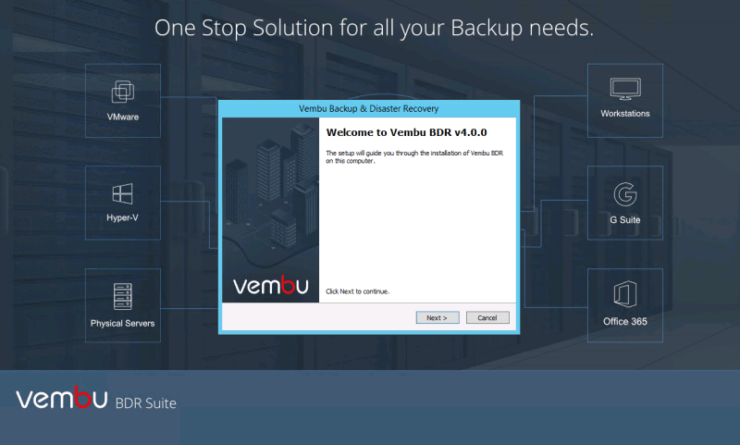 Vembu has announced the release of Vembu BDR Suite v3.9.1 the key component of the new release is the addition of the Standard Edition. Previous releases of Vembu where only available in a single edition, the new release aims to give customers more choice and value for money for SMB customers.